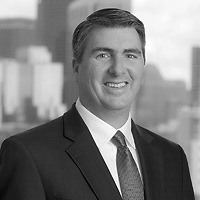 John Loughnane, a partner in the firm’s Business Department, served as a panelist at “Distressed Municipal Financing: Navigating Uncharted Waters,” a symposium presented by the Boston University Law School’s Review of Banking & Financial Law on February 7. The symposium brought together practitioners, judges, and leading scholars to discuss key financial issues arising in debt-laden communities across the nation, including historic bankruptcies in Detroit and San Bernardino, pension obligation conflicts, and the tension between austerity measures and bailouts. Perspectives on municipal use of volatile securities and the effect of voter mobility on local finance policy were also presented. In addition, participants examined how state and local governments can navigate conflicting interests to generate workable financing solutions.